Here at Blys, we’re always looking to provide the best massage experience for you, either at your home, hotel or office. That’s why we’re extremely thrilled to launch our service, Blys For Work, offering the best on-demand corporate wellness solution in Australia! Blys For Work is the name of our in-office corporate massage service. As your business grows, you’ll consider ways to keep your team happy and productive at work. Research has shown that workplace stress costs the Australian economy $15bn every year due to sickness and absenteeism. In contrast, corporate wellness programs could help decrease sick leave absenteeism by 25.3%, providing an excellent return on investment of $5.81 for every $1 invested in employee health and wellbeing. 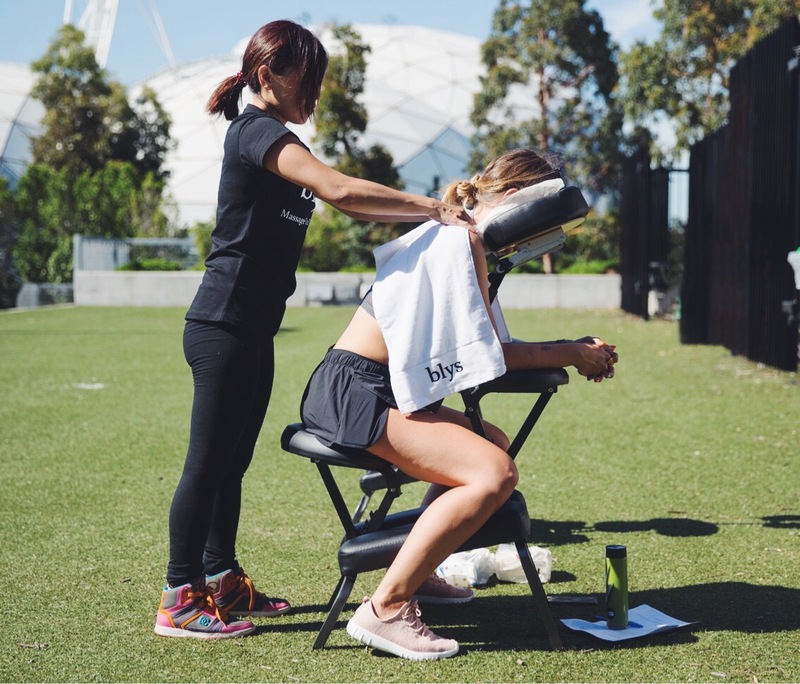 Our Blys For Work massages are perfectly suitable for both small and large companies, boosting employee morale, wellness and productivity. Additionally, all Blys therapists are fully qualified, vetted and insured practitioners, providing a safe, affordable and reliable service. 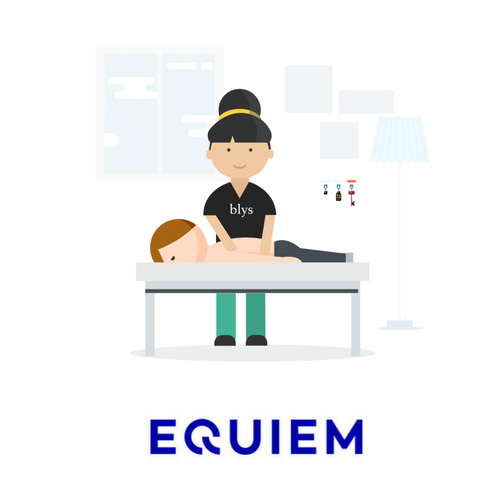 Along with launching Blys For Work, we are now also partnering up with Equiem, the world’s first integrated technology and service platform that connects tenants and building managers, providing easy access to our on-demand massage service for Equiem’s clients and members. Equiem currently has 100+ A-grade buildings on their platform, giving access to over 70,000 tenants today – most of whom are corporate professionals in all capital cities across Australia. “We are thrilled to team up with such a cutting edge company. The Equiem portal has played a big role in building stronger communities around Australia. Our partnership will provide Equiem tenants easy access to corporate wellness solutions and on-demand massage services. Blys and Equiem share a collective focus on a providing a customer-first experience. We look forward to enhancing Equiem’s vibrant community”. Our partnership with Equiem stemmed from Equiem’s huge interest to provide health & wellness solution for their members and tenants of their client buildings. With this partnership, members and tenants can now book in-home or in-office Blys massages directly through the Equiem platform. They will also have access to exclusive offers from us. Interested in creating a winning culture for your company? Simply enquire on our website. You only have to pick the date, time and location, fill in require details such as company name and size, and we’ll be in touch to confirm details, availability and cost with you very shortly. Our services are available anywhere in Sydney, Melbourne, Brisbane, Adelaide, Perth, Canberra and Gold Coast, with more cities to come. Book now for the first free hour (minimum 2-hour booking) – it’s on us!